This video describes several paradigms that have dominated the peace and conflict field from the 40s and 50s. These include the simple anti-war, anti-military paradig; the non-violence paradigm; the anti-communism (and anti-anti-communism paradigms); the principled negotiation, win-win paradigm; the peacebuilding paradigm; the military's "winning the peace" paradigm; the herding cats paradigm; and the emerging complexity and systems paradigm. We add to this the notion of massively parallel peacebuilding, or "cultivating peace" and explain how we hope we will foster that notion and that set of processes through this MOOS..
1, What ideas do you think need to be part of the new paradigm that takes us farther than herding cats or peacebuilding (D10)? 2. What do we need to remember to include from older paradigms (D10)? 3. Where are areas where we really need to get smarter (D11)? 4. How can we use the platform of a massive open online social network-based learning system to promote all of this (D11)? Hi. This is Guy Burgess. I wanted to spend a little bit of time exploring the paradigm shifts that we think are absolutely essential to this larger task of trying to figure out how to move beyond intractability and deal with large-scale, complex conflicts. And this is a sort of personal story here. It's is a chronicle of the paradigm shifts that Heidi and I have gone through during our working lifetimes. Obviously there were lots of paradigm shifts in the field that happened before that. And different people have different experiences. But for folks based in the United States, of the baby boomer generation, that came of age in the Vietnam era, I expect the story is relatively similar. The first thing to understand about paradigms is that they accumulate as you shift from one paradigm to another. You don't throw away what you learned in the past. You build on top of it. I've always been a fan of Isaac Newton's line. When he was asked how he was able to accomplish so much, he said “he had been standing on the shoulders of giants.” If we are going to get any further in the conflict problem, we, too, need to stand on the shoulders of giants, much like this kid is sitting on the shoulders of Albert Einstein in Washington. So again, for us baby boomers, our first introduction to the whole peace and conflict field was as part of the anti-war movement in the Vietnam era. At the time, the paradigm was pretty simple. We didn't like war. We especially didn’t like getting drafted to fight in the war. We were opposed to that, and this led to a whole range of protests. It was part of the general social upheaval of the 60s. The same sort of thing unfolded into the 80s, with the nuclear freeze movement, and other efforts to challenge the great nuclear rearmament of the Reagan era. Fortunately for us all, this led to the end of the Cold War. But it certainly could have gone a different way. It was also a time when there were great marches against US imperialism, especially the School of the Americas. There were lots of things that the United States did in the name of “fighting communism” that were pretty reprehensible. We've been struggling with many of those ever since. But the paradigms were still simple—the movements were still just against something, and ultimately it ran into the limit that it was pretty naïve. Maybe the song lyrics, “all we are saying, is give peace a chance,” really says it all. We needed more. It wasn’t enough to be motivated to end war. You had to understand what it takes to do that -- and it's more than just giving peace a chance. So we needed another paradigm. This paradigm actually comes way before our era, and the Vietnam era, but it's still critically important and worth mentioning. In fact, the truth is, these guys actually accomplished vastly more than the antiwar movement was ever able to accomplish. This is the tradition of nonviolence as exemplified by Martin Luther King, Mahatma Gandhi, Nelson Mandela and more recently, people like Leymah Gbowee, who were able to challenge injustice in a way that was really quite remarkable. And nonviolence has been a paradigm that has run through the peace and conflict field for a long time. But that paradigm, too, runs into trouble. It works in cases where you can mobilize the inherent guilt and contradictions of the society—like the blacks did in the US or the Indians did against the British in India. But when you have a society that's willing to ruthlessly put down nonviolent protest, as we saw maybe most spectacularly, in Tiananmen Square, things aren’t going to go very well. So we need to do more than that. This led to a flurry of really optimistic and exciting efforts. The William and Flora Hewlett Foundation underwrote not only a whole series of conflict resolution projects. They also underwrote almost 20 conflict resolution theory centers at major universities-- programs like the Program on Negotiation at Harvard, what now is the School for Conflict Analysis and Resolution at George Mason, and we were fortunate to have one of those programs here at the University of Colorado. It was also a time that saw, ultimately, the development of many different fields of practice that were brought together under the rubric of the Association for Conflict Resolution. Alternative dispute resolution practices became deeply embedded in a wide range of social institutions. This list of the sections of the ACR shows the breadth of this work. So this was a time of optimism, when we were thinking, “we can apply these concepts to some of the most difficult and intractable conflicts on the planet. 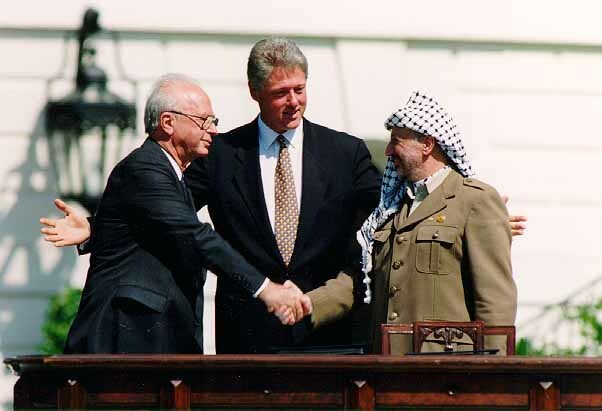 The Oslo Accords - the whole Oslo process - really came up with something that, by all rights, looks like a set of win-win solutions to the Israeli-Palestinian conflict. But, again, this paradigm ran into limits. The limits probably are sort of most succinctly explained by referring back to Machiavelli and the presence of actors who are willing to exploit the language of conciliation and conflict resolution while pursuing a clearly selfish power-over agenda designed to dominate others. The truth is that interest-based paradigm, for all of its advantages, really hasn't quite come to grips with power-over mindsets. So the next big paradigm that marked our careers has been the peacebuilding paradigm that came out of Boutros Boutros-Ghali’s Agenda For Peace. That paradigm presented the idea that you had to go beyond peacemaking and peacekeeping to peacebuilding. Peacebuilding involves reconciliation and transformation of whole societies and long-term implementation of peace agreements. There were all sorts of exciting initiatives to come out of that. A lot of these have coalesced under the rubric of the Association for Peacebuilding. Perhaps more remarkably, was the US military realizing, after the early days of the war in Iraq, the period that author Tom Ricks referred to as the “fiasco” (in his book of the same name), that success there depended not on winning the war, but winning the peace.The truth is that General Petreaus's counterinsurgency strategy really is the conversion of an awful lot of peace building ideas into military language. We had Department of Defense Directive 3000.05 which actually directs the Pentagon to understand what they call SSTR for security, stabilization, transition and reconstruction-- the process that used to be called nation building. Then you have such things as USAID, which started to understand that all of their aid programs had to be embedded in a conflict framework. They came to realize that if you don't understand conflict dynamics, you're not going to be very successful at development. You have major donors’ conferences convened in various crisis points that brought people together to try to understand how to put together a large package of relief efforts that also address conflict resolution issues. You have the emergence of institutions like the United States Institute of Peace, which for the first several decades of its existence, lived in the middle floors of this building-- literally down the hall from the McDonald's lobbyist-- and it has now built the kind of reputation that has enabled it to have this brand-new building on the Mall in Washington, DC. and the prestige that goes with that. But the herding cats paradigm runs into limits too. Perhaps most tragically, at least for folks from the United States and the Middle East is the sad story of Iraq and Afghanistan. The deterioration of the Middle East is as spectacular an example as anything of what we still have to learn. We certainly got into these wars in a lot of very, very bad ways. But I was still always moved by the commitment of so many people to try to get out of Iraq and Afghanistan in the right way and ultimately end up doing good by the Iraqi and Afghan people. The fact that we still failed so miserably tells us that we've still got a lot to learn. All of this has led a lot of folks to start asking some really hard questions about what it's really going to take to move beyond intractability. Here I think the most promising focus really is on trying to come to grips with the scale and complexity of these conflicts. Here we need to make a shift from a peacebuilding paradigm in which somebody's got the plan, somebody's organizing it, they are getting everybody to work on the same sort of thing, to something that might be called “peace cultivating.” In peace cultivating, you have natural processes that are actually doing the creation and it's more a process of trying to create more fertile conditions for those processes to go forward. This suggests that we need something that you might call “massively parallel peacebuilding.” Instead of having one unity- of-effort based approach, which is implicit in the donors’ conferences, and it is certainly implicit in what folks tried to do in Iraq and Afghanistan, imagine an alternative model in which you have a multitude of independent actors each trying to contribute to the peacebuilding process in their own way. This is a very much a decentralized model. So in a sense, what we’re trying to do is to put together a process that is not talking so much about massive transformations which are probably hard to engineer, and at least over the near term, pretty unrealistic. Instead we want to try to increase the proportion of constructive to destructive interactions. In this figure, you've got a lot underlying constructive interactions having to do with the integrative and exchange system. But what we are most worried about are force-based interactions that tend to be very destructive. We want to try to shift conflicting societies into more constructive interactions that tend to rely much more on exchange and persuasion, and that sort of thing. So for years, we've been trying to think about how one could take advantage of the capabilities of the web and build what amounts to a learning accelerator to help folks from lots of different perspectives and lots of different circles of trust increase the rate at which they learn about more constructive ways of dealing with conflict. The latest iteration of Beyond Intractability and this whole notion of a Massive Open Online Seminar is really an attempt to beta test what we see as the best option out there for trying to do this. If we can integrate this into the social networks that are so widely used around the planet and are really such a key part of the place where people get information, we will have accomplished a lot. We are still, obviously, at the very primitive, beginning stages of this. This is going to take lots of people's ideas and efforts, not just Heidi’s and mine. But I think it's a promising place to start. 1, What ideas do you think need to be part of the new paradigm that takes us farther than herding cats or peacebuilding? 2. What do we need to remember to include from older paradigms? 3. Where are areas where we really need to get smarter? 4. How can we use the platform of massive open online social network-based learning systems to promote all of this? Roger Fisher and William Ury (and for the second edition, Bruce Patton), Getting to Yes: Negotiating Agreement without Giving In. Penguin Books; Revised edition (December 1, 1991). Slide 2: Einstein statue By Zach Lee. CC BY-NC-ND 2.0. 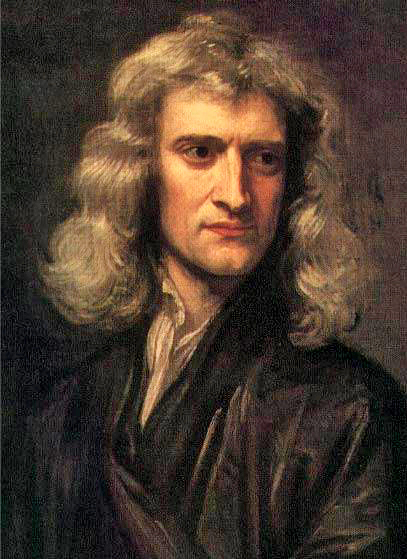 Newton. Sir Godfrey Kneller [Public domain], via Wikimedia Commons. Slide 3: Peace sign. by Christopher Rose. CC BY-NC-SA 2.0. Slide 4: Anti War Protest 1967. by Tommy Japan CC BY-NC-SA 2.0. Anti War Demonstration 1966. by Tommy Japan. CC BY-NC-SA 2.0. Slide 5: Anti-nuclear weapons protest march. Attribuition: By Kim Traynor (Own work). CC BY-SA 4.0 via Wikimedia Commons. Reagan OK. Ronald Regaon at Durenberger Rally. by pingnews.com CC BY-NC-SA 2.0. Ballistic Missile Defense System (BMDS) Overview. Attribution: By Missile Defense Agency, USA (https://www.mda.mil/), first uploaded by Wikifreund, Germany [Public domain], via Wikimedia Commons. Slide 8: Martin Luther King, Jr. Attribution: Unknown author [Public domain] via Wikimedia Commons. Mohandas Gandhi. Unknown author [Public domain] via Wikimedia Commons. Nelson Mandela. by lasanta.com.ec. Slide 14: Arafat, Rabin & Clinton. By Vince Musi / The White House [Public domain], via Wikimedia Commons. (Heidi already did this one.). West Bank Map. Public Domain. Slide 25: Pauline Moullot “’It’s Complicated’: How Economic Complexity Predicts Growth” World Policy Blog. Oct. 31, 2011. Slide 28: Wikimedia Foundation Servers. Attribution: By Victorgrigas (Own work). CC BY-SA 3.0 via Wikimedia Commons. Slide 29: Cat. CC0 Public Domain (Pixabay) Barack Obama. Attribution: Pete Souza - Official White House Photo by Pete Souza (whitehouse.gov) Public Domain.